Don't think of griege as a color, but a material. The greige paint colors in Vicente Wolf's Color Diaries warm up a space in a modern way. These beige grays come from nature: mushrooms, leathers, soil and bark. I love comparing the color of sand when it gets wet to when it's dry. The shift in nuances is very calming. 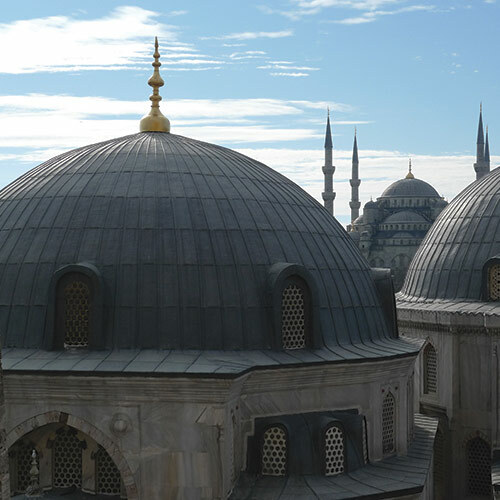 Byzantine and Ottoman architecture dominates the landscape of Istanbul, Turkey. Greige colors can ground a design with an alternative to black. Soften the backdrop where a white would be too bright. Whites can be elegant, complex and relaxed.